Slobodan Milosevic had charted an effective but unremarkable career in the Socialist party as a typical toady who was fiercely supportive of orthodox Marxism. But he was also an international banker and economic moderate who favored partial privatization of the economy and closer cooperation with the Americans, who saw him as a “breath of fresh air” in the 1980s. 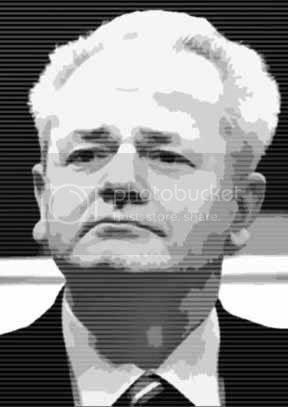 Milosevic was a master sculptor of his media image, and knew just how to destroy an opponent politically. After protracted power struggles with President Stambolic, Milosevic emerged as the highly popular President of Serbia in 1989, just as the Warsaw Pact was crumbling away to the north. He would be President of the Yugoslav Federation as well, but not until 1997, by which time the former SFRY had been nearly dismantled. Over the 1990s, four of six republics seceded, finally leaving only Serbia and Montenegro in a “rump” Yugoslavia. This was not simply a passive process but one helped along by outside powers. Greek peace activist Evangelos Mahairas took issue with the United States effectively cutting off aid to Yugoslavia as a whole in 1990, promising money to the six republics individually if they held separate elections. Thus from 1990 on, the breakup of Yugoslavia was nearly inevitable as the West, notably Germany and the US, extended recognition to one Republic after the other that broke free from Belgrade’s control. In fact if seen as intentional, this is essentially a divide-and-conquer strategy, as was being done with the former Soviet sphere. The plan is to decentralize, create multiple poles of power, get competition working in your favor and cut bilateral deals with independent states. By the mid-1990s the world was left with a mess of five bickering fragments (in alphabetical order): Bosnia and Herzegovina, Croatia, Macedonia, Slovenia, and “Yugoslavia” (or Serbia and Montenegro, capital at Belgrade). Serbia also contained two autonomous provinces: Vojvodina in the north (capital, Novi Sad) and the now well-known southern region of Kosovo (capital at Pristina). While Milosevic's critics allege he sought annexation of Serb-dominated areas in the neighboring republics under the banner “all Serbs in one State,” apologists explain that his role in this process was reactionary, seeking to keep Yugoslavia from disintegrating under outside pressure. In 1991 Serbia went to war with Croatia and again in 1992 fighting broke out in Bosnia-Herzegovina. It’s worthy of note that both of these conflicts occurred only after the republics in question had moved to secede, putting at least some of the impetus for conflict outside Milosevic’s court, an important but often overlooked factor in assigning blame for the ensuing destruction. 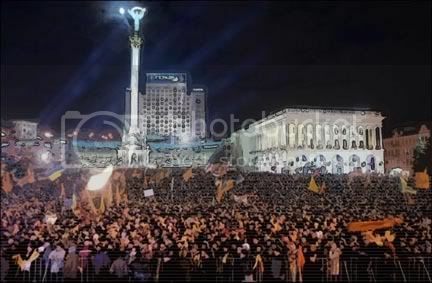 Fighting and Byzantine political maneuvers roiled the region for the next few years. The second conflict in particular grabbed the world’s attention, with Muslim Bosniacs pitted against Serbian forces and local Serb paramilitaries. This violence triggered in response the first offensive use of NATO – not the first since the end of the Cold War, but the first ever - in 1995. Dubbed Operation Deliberate Force, NATO’s fierce bombing of Serb positions had the Bosnian War decided and called off before the year was out. Peace was re-established with the Dayton Accords but sanctions were imposed and Yugoslavia was left a Pariah state, withdrawing from the European mainstream (the OSCE) and even leaving the United Nations. As war raged in the north during the early 1990s, Kosovo languished under total Serbian governance with the Albanian majority locked out in an apartheid system. Poverty and unemployment reached catastrophic levels, swelling the ranks of the dispossessed, desperate, and well-armed. On April 22, 1996, four attacks on Serbian civilians and security personnel were carried out simultaneously in several parts of Kosovo. A hitherto unknown organization calling itself the “Kosovo Liberation Army” (KLA) claimed responsibility, and it all went downhill from there. Milosevic cranked up the pressure of repression and ushered in the widely publicized phase of paramilitary terror: prison camps, mass rapes and massacres ensued – at least in Western accounts - and demanded the West’s leadership. These charges were serious enough to be used by a Republican Party Committee report published in 1997 that criticized the Clinton administration for “complicity in the delivery of weapons from Iran to the Muslim government in Sarajevo.” It noted the policy’s personal approval by he U.S. ambassador to Croatia Peter Galbraith, NSC Director Anthony Lake, and President Clinton himself. Despite the political heat this could have applied to Clinton, such activities served the interests of the Anglo-American empire, which are bi-partisan, and so it was allowed to be buried and forgotten as focus shifted to other scandals, making such support into an invisible weapon that made Milosevic’s action seem yet more unjust as he seemed to battle the brave Bosnians for no good reason except blind ethnic hatred. Such covered-up outside support is also seriously alleged to have flowed in Kosovo, to the militant KLA. Michel Chossudovsky tackled this angle as well, citing British military sources to argue that “the task of arming and training of the KLA had been entrusted in 1998 to the US Defence Intelligence Agency (DIA) and Britain's Secret Intelligence Services MI6” along with former British Air Force vets from the 22 SAS Regiment and private Anglo-American security companies. On the other end, the KLA is linked by some evidence to Osama bin Laden’s Islamist and criminal activities in the Balkans; Chossudovsky cited Kosovo as part of the conduit for Afghan opium on its way to refineries and markets in Europe. Supplying roughly 80% of the street supply there, this massive operation is said to have helped bin Laden fund his operations in Afghanistan, and the KLA was reportedly in on the trade. And on the return end, it’s well known that along with Kashmir and Chechnya, Kosovo was one of the main export regions for Islamist militants training at the Afghan camps. A brief survey of Chossudovsky’s evidence shows that the Bin Laden-KLA-Anglo-American link and the Iranian-Bosnian-Anglo-American link both follow a similar pattern; both helped provoke Belgrade into open hostilities, both times followed up with NATO wars against Serbia. There was enough evidence all in all for US-based Bosnian Serb historian and analyst Srdja Trifkovic to call this “the biggest unknown scandal of the Clinton years.” “Throughout the 1990's,” Trifkovic wrote, “the U.S. government effectively aided and abetted bin Laden's operations in the Balkans, long after he was recognized as a major security threat to the United States.”  Bin Laden was not the big enemy just yet, and at the time it seems plausible that he and his allies were seen as simply convenient tools to help pry Yugoslavia apart. Mahairas, Evangelos. The Breakup of Yugoslavia.